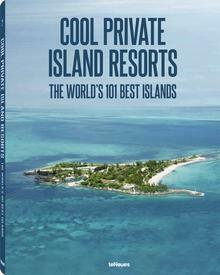 HOME » Breaking Island News » Australia: This Australian Private Island Has the X Factor! Sir Richard Branson’s antipodean private island escape looks set to steal the spotlight on the Australian X Factor, with the heart-shaped Makepeace Island forming the exotic backdrop to this season’s dramatic Home Visit episodes. Making its Channel 7 debut during the coveted prime-time slot on Sunday evening, the Sunshine Coast stunner will be showcased to millions of viewers as the competition really heats up in the search for a new winner of the ever-popular music franchise. Filmed over five days in June and due to air across three episodes between the 18th and 20th of August, various signature sights will be broadcast, including the breathtaking Balinese style Wantilan lounge and sensational swimming pool, as well as stunning shots of the surrounding scenery at Noosa and along the Sunshine Coast. Branson is no stranger to the X Factor, and has been involved with the show for a number of years now, sharing his knowledge of the record industry as a guest judge in 2010 and volunteering Necker Island, another of his private paradises, as a surprise Home Visit destination during the X Factor’s second season. The move was made possible with the help of Tourism and Events Queensland in conjunction with Sunshine Coast Destination Ltd and Makepeace Island itself and looks set to well and truly put Makepeace Island on the map. With other home visit destinations including New York, L.A. and London, Makepeace will form the show’s only “home-grown” escape – a considerable accolade for the heart-shaped island. “To be put alongside these world-class tourist destinations is a great honour for the Sunshine Coast,” said Barrie Adams, chairman of the SCDL.